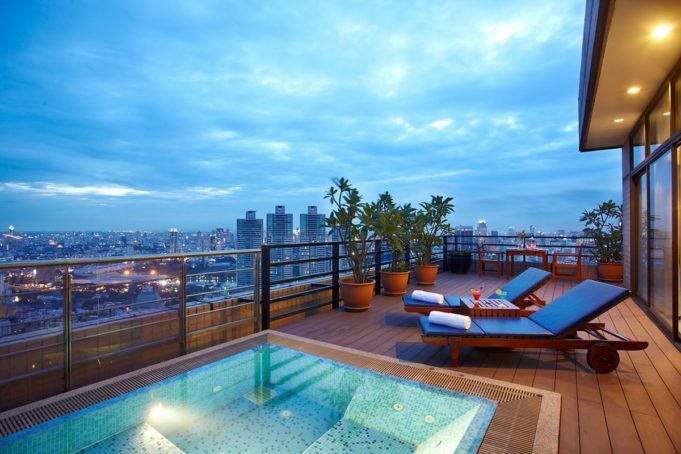 Looking at Thailand’s property past is giving us confidence in the property future. Gazing into the haze of Thailand’s property market usually sees a blend of good news and the occasional horror story the local media loves to publish to attract extra ‘clicks’. Looking into the crystal ball to predict what’s around the corner is fraught with potential failure. But I’ll let history guide me with the caveat that no one really knows and those that tell you they DO are dishonest. Post-coup, Thailand has addressed a lot of longer-term issues, both political and systemic. The tourist market, driving some 5% of the total Thai GDP, continues to boom; there’s no other word for it. Thailand’s tourism industry appears truly ‘teflon’ – nothing negative seems to stick. Bombs in Bangkok, the odd bad story, monks behaving badly or some political rumblings from the north – nothing stops the tourist arrival numbers from their upward trajectory (approx. 10% per year). The rest of the economy isn’t heading north at quite the same rate but it’s still in very positive territory when compared to most of the other regional and world economies. Following years of 4 – 5% growth it’s now settling in for a few years closer to 2%. But its still growth. Property-wise there’s a glut in the low-end condo market. There’s some good deals and plenty of eager developers. You can still get your 32 square metres of new Thai condo, in the hot zones of Bangkok, Chiang Mai, Pattaya and Phuket for under USD 60,000. For not a lot more you can get into prime locations in the key markets. Savvy developers are still buying up good land, designing, marketing and building new condominium developments. The breakneck pace of 2013 – 2015 may have slowed but the sales continue. At the upper end of the condo market the new developments and sales remain strong and the demand isn’t waning. Developers aren’t stupid. They’ve done their sums and looked at the all their property predictors and seen the value of churning newer and ever more impressive developments – some of the larger ones are like small villages. Yes, more and more condos hitting the Thai market in the next few years in the 4 – 12 million bracket. But the demand is clearly there. Villa sales are predicted to pick up, particularly in the premium and luxury sector, as the demand continues. The legacy villa market and pool villa sales have slowed in recent years but all indicators point to more realistic prices from sellers and patience from buyers is paying off with sales picking up over the past six months. The overly optimistic price expectations from some developers and owners have been replaced with real sales. Sellers are being urged to keep their expectations within market parameters to be able to secure a sale. The two years of military government in Thailand have provided peace and a general ‘stead as she goes’ atmosphere in the business community. The generally conservative approach by Thai companies is keeping the economy under control and a return to sustainable growth into the future. The Government, at the same time, is investing heavily in infrastructure, particularly in the tourist regions. The beaches have been cleared, mostly, of commercial activities, new freeways are being constructed, new BTS services in the capital, new dams in the farming areas, new airports and passenger infrastructure, a new curriculum for Thai students, new universities – it all points towards an economy restructuring itself for the 21st century. The other positive sign for foreign buyers is a history, over twenty years, of safe and secure control over property, despite the over-riding law that foreigners cannot ‘own’ Thai land. The legal mechanisms of limited shareholder Thai companies and leaseholds has provided, in the vast majority of cases, a relatively simple method of maintaining a controlling interest in a property. In the case of condos, freehold titles make it even easier. None of this is expected to change in the foreseeable future. Crystal ball or not, FazWaz and all responsible real estate agents would urge buyers to seek professional legal advice and perform all the necessary due diligence before buying a property. You would do it in your own country; Thailand is no different. If we can rely on history then Thailand’s property future seems, in one sentence, ‘steady as she goes’. The potential for growth in the market appears assured if we can look back over the past 20 years as a guide.